that thing is crazy. How does all your stuff not get stolen? I guess it doesn't rain much around there.. Ya that is pretty cool lookin what do you do about rain? Last edited by widco; 06-05-2007 at 10:16 PM. Last edited by widco; 06-05-2007 at 10:17 PM. Here is my work truck. I'm out of town, so I can't just attach the pics. why not make that an enclosed trailer? do you pull it inside a garage each night? and what do you do if you are at the job and it starts raining or snowing? I really don't need the trailer other than for moving the skid steer around, and dump runs. everything I need is in the gang box and that can get rained and snowed on for all I care same for the skid steer, I just don't like having the tools permently in any vehicle. 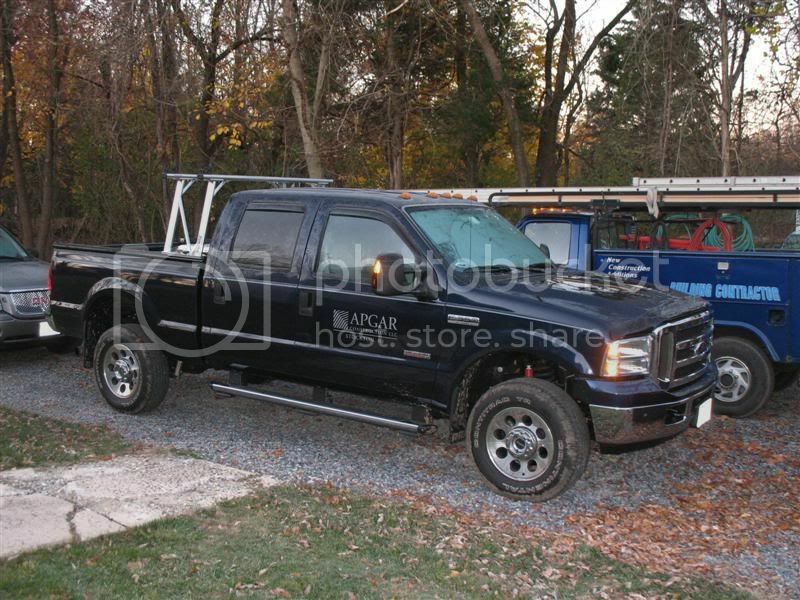 I am considering either ramps or a small hoist to get it in and out, it only weighs 1500lbs. I thought about getting the 3500 and driving the skid and the gang box in the back, but something about the possibility of having an accident with 1500# and a toothed bucket behind me just skeeves me. I saw the coolest rig last summer, a landscaper was doing some work up the road from one of my projects and he had a small mitsubishi cabover with a rolloff bed, he had a dumpster and a connex box for this truck, I'm guessing the connex container was his jobsite trailer, but obviously it isn't rolling anyware, and you would need a torch to get in. I just really hate dealing with trailers altogether, anymore my mixer just sits cause I'v been getting my crete delivered with a pump rig. Last edited by Bone Saw; 01-30-2007 at 02:59 PM. Take a long, hard look at your elf. 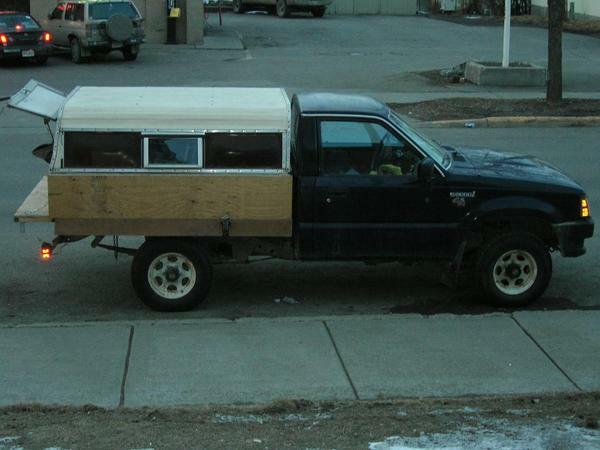 It's a bit more fixed up than that now (it has the original bed back on it), but that's what it looked like at first. I need a more updated picture. I won't even bother posting a pic of my crappy van... Maybe in a few months when I buy a new one. This is basically my sales vehicle and daily runner. This picture is old it has a Tonneau cover now. Yea I'm definitely a big Tacoma fan. EDIT: I'm a little disappointed with the lettering, I should have got the reflective blue. The regular blue doesn't show up very good on Black, especially at night. Oh well I'll know for next time. Last edited by Humble Abode; 02-10-2007 at 09:41 AM.